Lantek, leaders in management software solutions (CAD/CAM, MES, ERP, Advanced Manufacturing) for the sheet metal industry has signed a partnership agreement with Turkish fiber laser manufacturer Nukon to supply Lantek software with its machines worldwide. 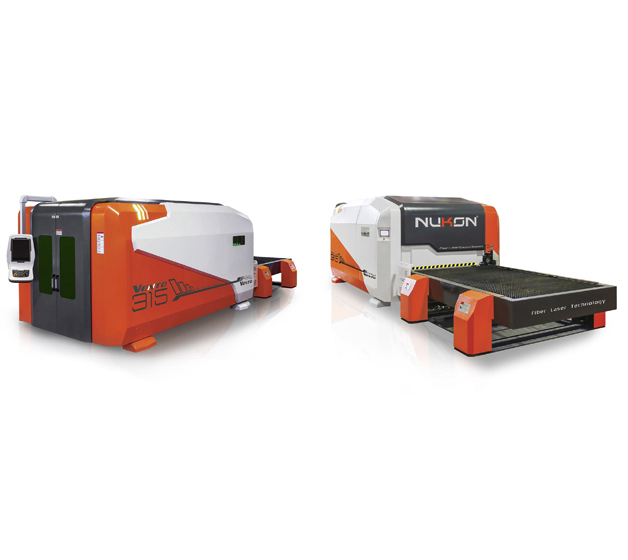 Nukon’s range of fiber laser machines is available in power levels up to 6kW and have an option for linear drives which gives acceleration of up to 3G. The laser itself is fully sealed and includes automated dynamic focus, delivering very significant speed and cost savings when compared to a CO2 laser. As well as its fiber laser cutting machines the company also manufactures tube cutting fiber lasers, and waterjet, plasma and oxygen cutting machines. Over 500 machines have already been installed and Nukon uses its own manufacturing facility in Turkey as a testbed and showcase for its machines, enabling it to deliver reliability, productivity and ease of use to its customers. Following the agreement with Lantek, Nukon customers will be able to benefit from the extensive network of offices and skilled distribution channels that Lantek has around the world. By drawing on Lantek’s local knowledge and experience in the sheet metal industry, customers will be able to optimize their processes and get the maximum return on their investment in machinery and software. As well as the Lantek Expert CAD/CAM software, which enables manufacturers to work from 3D models to a finished product, the company’s Lantek Factory concept will enable users of the Nukon machines to develop manufacturing systems that will manage the complete production process and provide a path to Industry 4.0 implementation.